In the latest case to draw public attention, Tashkent-based website 12news.uz cited an unnamed Supreme Court official on November 13 as saying a 23-year old man called Muhammad Abdullaev had been sentenced to 13 years in prison for his association with Islamic State. 12news.uz has served as a conduit for multiple alarming stories about alleged Islamic State incursions into Uzbekistan. The details of the Abdullaev case, which had not been previously reported, are laid out as a cautionary tale. The young man, a native of the western Khorezm region, is said to have fallen under the sway of a radical recruiter and fellow Uzbek, Narimon Safarov, while working in the Russian city of Astrakhan in the summer of 2013. “Having struck up friendly relations with Muhammad, Narimon gradually transformed him into a ‘zombie,’” the report read. Abdullaev and Safarov managed to make it to a militant camp in Syria, but Abdullaev quickly took fright after seeing the bodies of fighters killed in combat, according to the Supreme Court source’s account to 12news.uz. 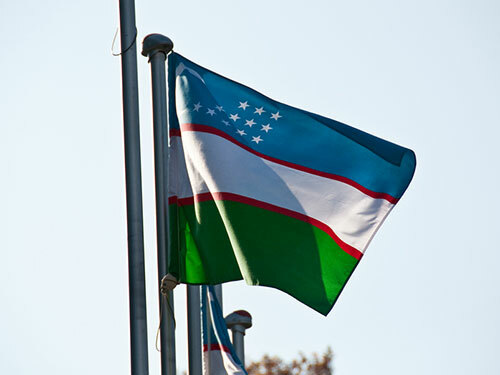 Abdullaev eventually returned to Uzbekistan, where he was arrested, 12news.uz reported. “During the investigation and trial, Muhammad said he repented for his deed, but it was too late. You must always think about the consequences of ones actions and not chase after dreams of ending up in heaven,” the source told 12news.uz. Such elaborate accounts are virtually impossible to verify, and thus they inevitably generate skepticism. A recent report authored by Noah Tucker, who has closely monitored accounts of terrorist recruitment among Central Asian migrants, was candid about attempts by governments in the region to hype the threat. “It is clear … that state messaging and state-approved or supportive media outlets have relied on uncorroborated and sometimes far-fetched reporting to create the impression that [Islamic State] has immediate operational ambitions inside Central Asia in a way that closely mirrors difficult-to-confirm previous claims about the regional activity of the [Islamic Movement of Uzbekistan], or tiny jihadist formations whose existence is never referenced outside of a single prosecution,” Tucker wrote in his report, which was commissioned by USAID and MSI International. A November 9 piece in the Russian newspaper Kommersant echoed Tucker’s views about the potential for Islamic State to spread into the former Soviet space. Islamic State appears to have supplanted an older foe, the Islamic Movement of Uzbekistan, as public enemy #1, in the eyes of Uzbek authorities. Moscow-based news agency Regnum, which cleaves to a strongly pro-Russian government and chauvinistic line, reported on November 12 that more than 150 people had been detained in Tashkent over the previous two weeks on suspicion of belonging to Islamic State and other radical organizations. Many detainees were reported to have returned from Russia and Turkey. “An order has come from the interior minister for police units, including traffic police and other departments, to conduct door-to-door searches for suspicious characters,” Regnum’s law enforcement source was quoted as saying. Earlier in November, 12news.uz reported that Islamic State was purportedly also trying to draw support from members of Akromiya — a group that Uzbek authorities blamed for sowing the unrest in the city of Andijan in 2005 that culminated in a brutal crackdown. The general impression created by the slew of alarm-tinged articles is not immediately evident on the ground. There have been reports of beefed-up security. Yet with Tashkent always home to a stifling security-force presence, it is difficult to assess what might constitute extra security and what truth there is to the warnings of potential terrorist activity. The police presence in the city has been “as usual” in recent days and weeks, one resident told EurasiaNet.org on November 13. In addition, there was no sign of extra security at the Uzbekistan-North Korea soccer match at the Pakhtakor stadium on the evening of November 12, the resident said. Such high-profile sporting events are always heavily policed, and this one was no different. Residents of Tashkent also report that police checkpoints ringing the city do not appear to have enhanced their security procedures. It is common practice for authorities to randomly stop and search vehicles that are entering and leaving the city. Police officers also stand on watch every hundred meters or so throughout central parts of the city, and man the entrances to every metro station.